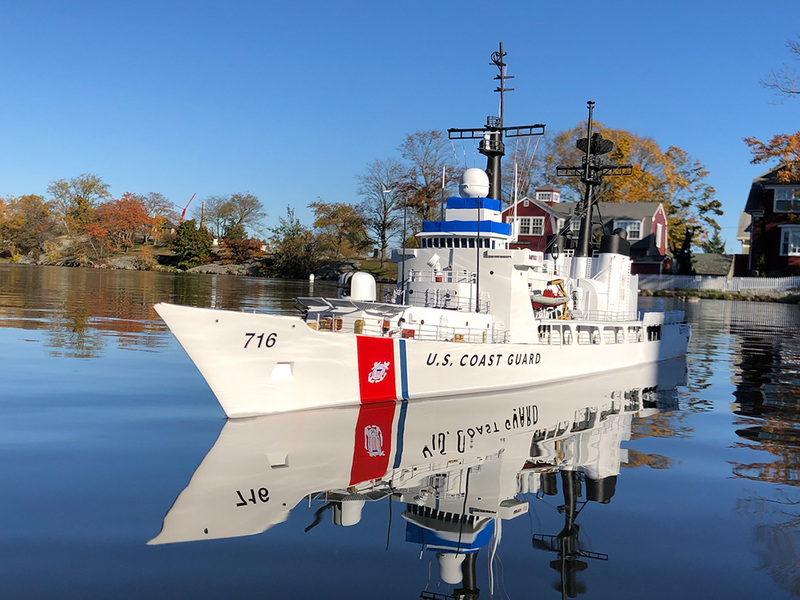 USCGC Hamilton (WHEC-715) was a US Coast Guard high endurance cutter and the lead ship of its class. Hamilton was based in Boston MA from commissioning until 1991 and then out of San Pedro, CA before it was moved to its last home Port in San Diego, California. Launched December 18, 1965 at Avondale Shipyards near New Orleans, Louisiana and named for Alexander Hamilton, the first United States Secretary of the Treasury and founder of the United States Revenue Cutter Service. She was commissioned March 18, 1967. 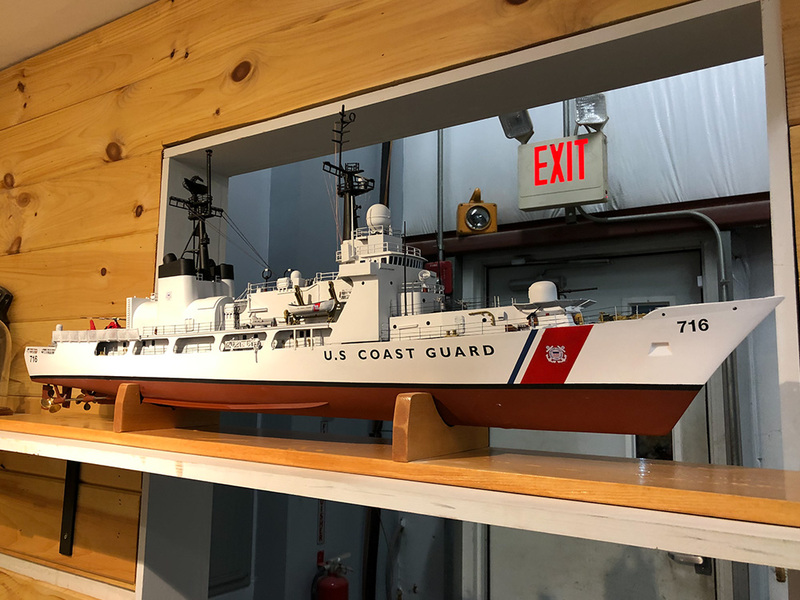 The Hamilton Class is 47 inches long at 1/96 scale, the namesake ship build here. This model was created with a fiberglass hull and gator board structure for strength and lightness to make it easy to carry around for a trade show. The 3D printed parts were measured from tours of the ships in ports around the United States. 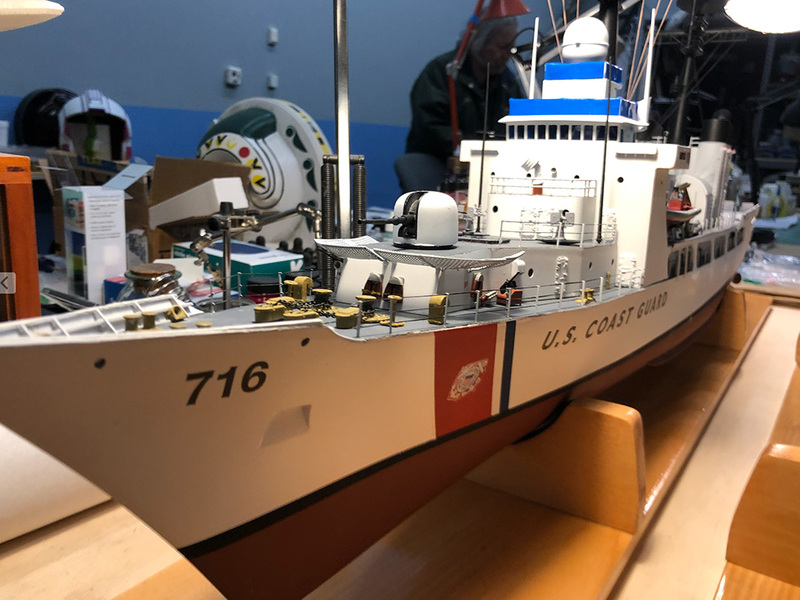 The Coast Guard Hamilton Class models are made to order in the year that you prefer. We build Port-FREMM build with the modern upgrades, but we have one in stock with the harpoon missiles on the bow. These models can be built static or R/C with spinning radar and all the 3D printed details.